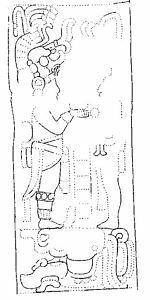 Results 1 - 15 of 23 for "Nim Li Punit"
Comments: Stela 15 is one of 26 stelae at the site. Occasion depicted is a scattering ceremony. Found near Structure 4 on Eastern Side of Plaza. 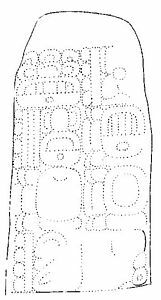 Comments: Found in situ standing in the main stelae plaza at the SE corner of Sturcture 2, south of central stairway. Only the front is carved, with 3 columns of 12 glyphs. Scene of two figures during a scattering rite. 9.15.10.0.0 3 Ajaw 3 Mol (June 26, 741). Comments: Main text, 9.14.15.4.14 1 Ix 12 Pax (December 16, 726). Comments: Main text detail, 9.14.15.4.14 1 Ix 12 Pax (December 16, 726). Comments: Found in the northwest corner of the stelae plaza. Two columns of text consisting of 16 glyph blocks. 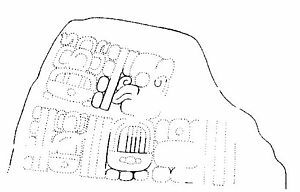 Comments: Located at the souther corner of the northern terrace near the entrance to the main stelae plaza. The base still stands in situ. Contains 3 text sections, and a figural scene. Comments: Located at the souther corner of the northern terrace near the entrance to the main stelae plaza. Scene includes two figures standing facing each other atop a Witz Monster Pedstal. Comments: Located at the souther corner of the northern terrace near the entrance to the main stelae plaza. Upper text. Comments: Located near center of the stelae plaza. 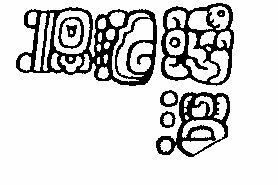 Upper and lower texts of about 20 glyph blocks and a figural scene of single figure "scattering". Comments: Scene depicts a single figure participating in a "scattering" rite. Comments: Upper Text, 9.18.0.0.0 11 Ajaw 18 Mak (October 7, 790).